Vintage wristwatches and pocket watches for sale, from Bulova to Rolex, specializing in Omega. Every timepiece is fully restored by our certified watchmaker, with original watch parts, and comes with a guarantee. 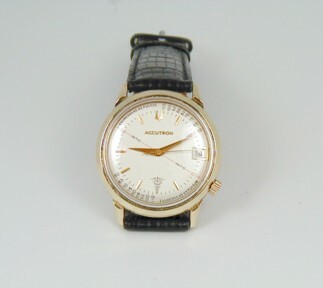 See the great Vintage Watches we have on this page, and all 70 of our Web pages ! Our new telelphone number 289-868-9699. 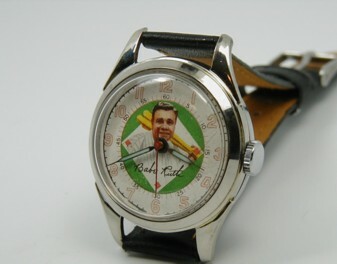 SHOW ME THE VINTAGE WATCHES! 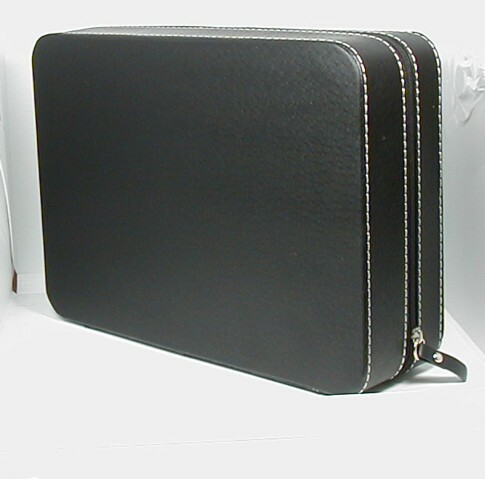 ALL ORDERS RECEIVED DURING THIS TIME PERIOD WITH BE SHIPPED OUT UPON OUR RETURN IN ORDER THEY ARE RECEIVED. 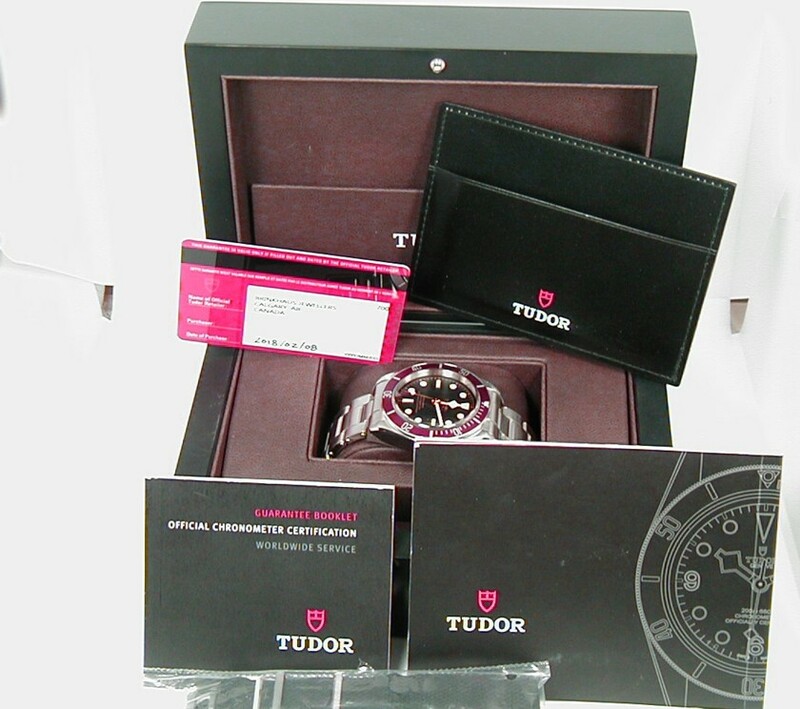 TUDOR ROLEX BLACK BAY 2018 MINT BABE RUTH CHARACTER PAGE 4-D ROLEX TUDOR BOX N PAPERS PAGE-5 HEBDOMAS CARRIAGE CLOCK "SMALL CLOCK PG"
10 NEW WATCH FOBS FRESHLY ADDED!!!! 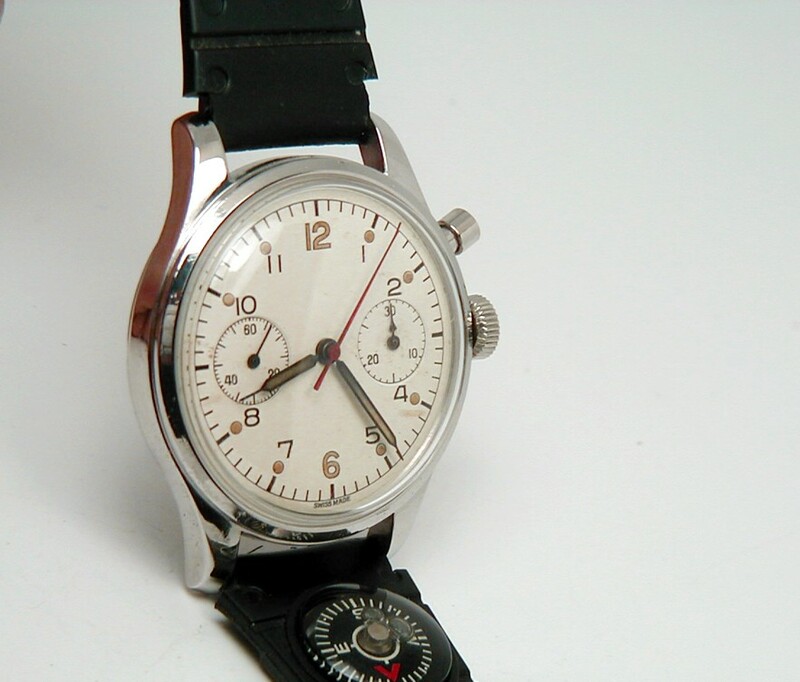 STOCK NUMBER #RODANIA40--------I have for sale a freshly serviced Rodania R.C.A.F Canadian Air force time piece and aprox 1959 is the age for this well serviced piece. 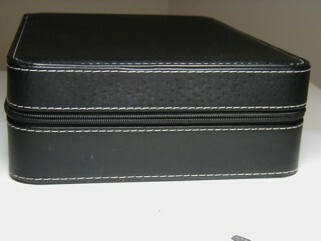 This is a 2 piece case with a screw in R.C.A.F signed rodania back. 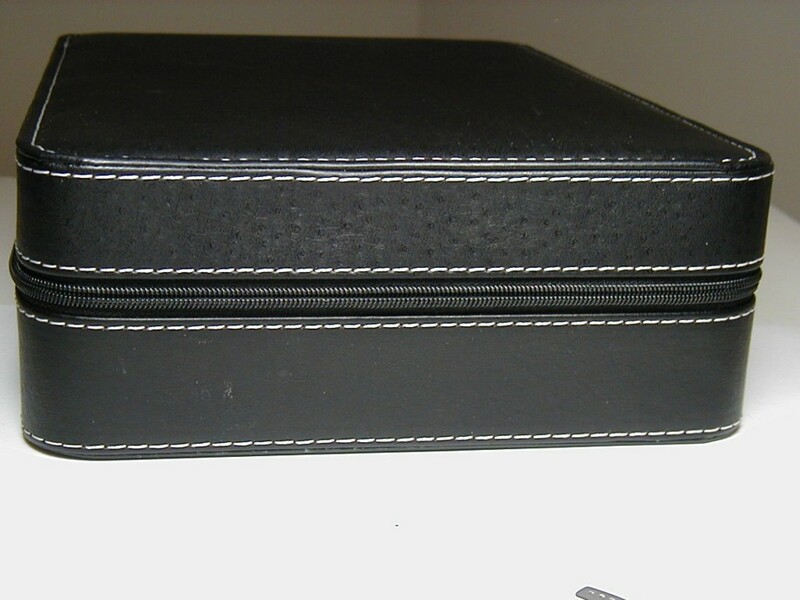 There is etching and abrasive rubbing on the back of this case in the middle and must be mentioned. 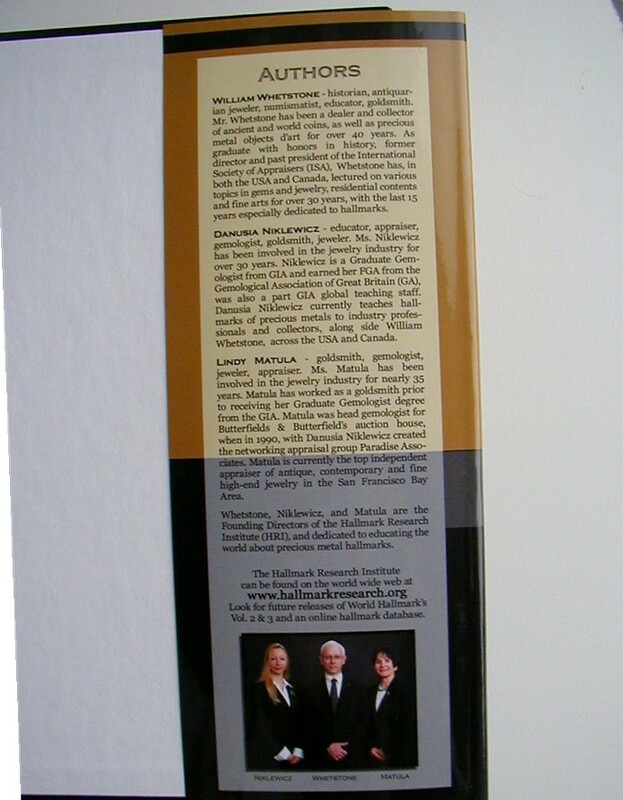 The case reference number is 4449-H and signed Rodania on the inside of the back of this case. 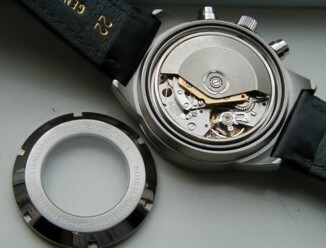 From lug to to lug this rodania R.C.A.F case is 45mm long and wide less the crown it is 38mm. 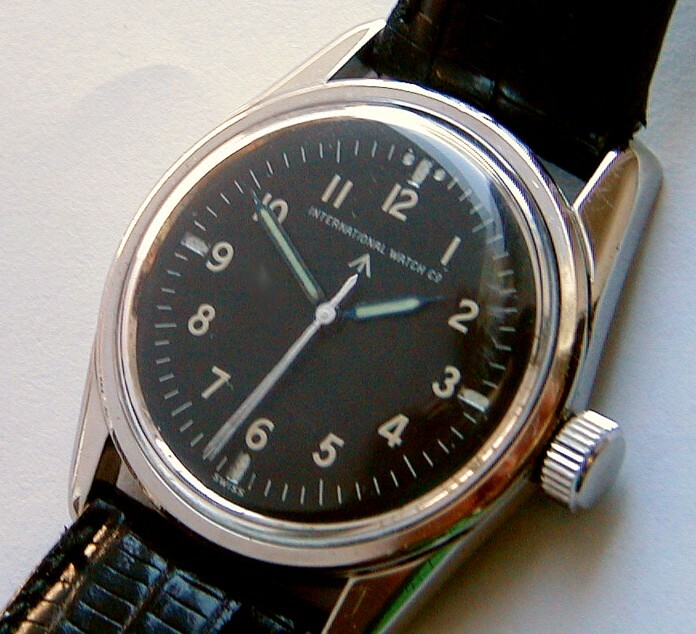 This is a 100% factory unmolested dial and the hands still have the original luminous material untouched. The crystal needless to say is changed and and if you will excuse the pun it is "crystal clear!". The movement is signed Rodania on the center wheel bridge and there are 17 clean and inspected jewels to this Venus caliber 175 movement. All parts were inspected then in to our cleaning system then inspected again. 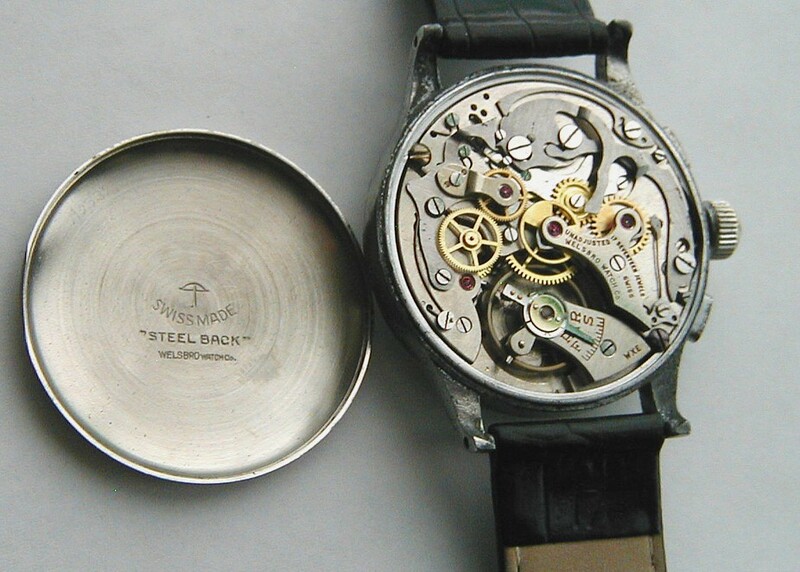 Mobious oils and lubricants used and reassembled to what is now an excellent time keeper indeed. 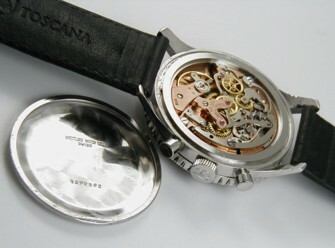 The year of production for this Rodania Canadian R.C.A.F 1 button chronograpgh is 1957. 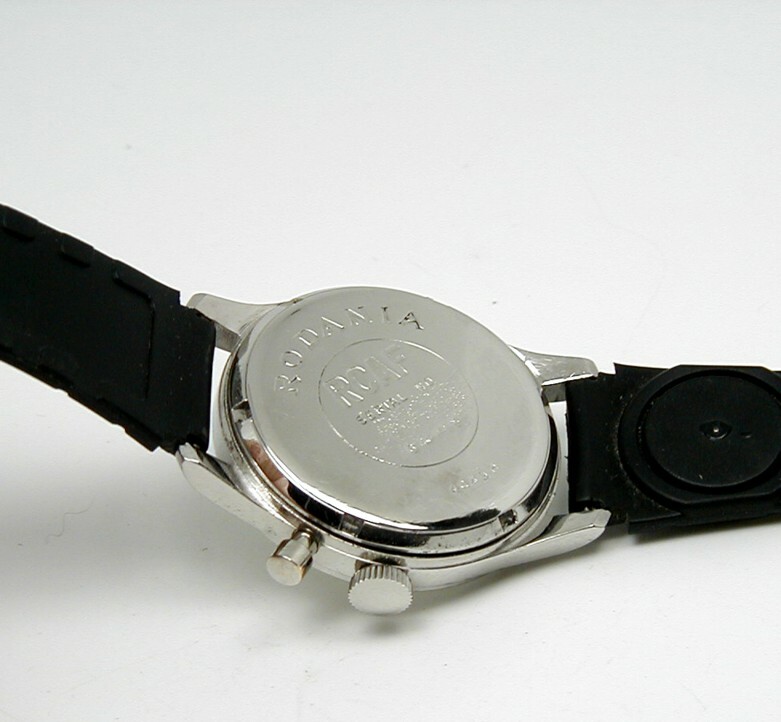 The band is rubber with a working compass which I personally thought is a neat idea. 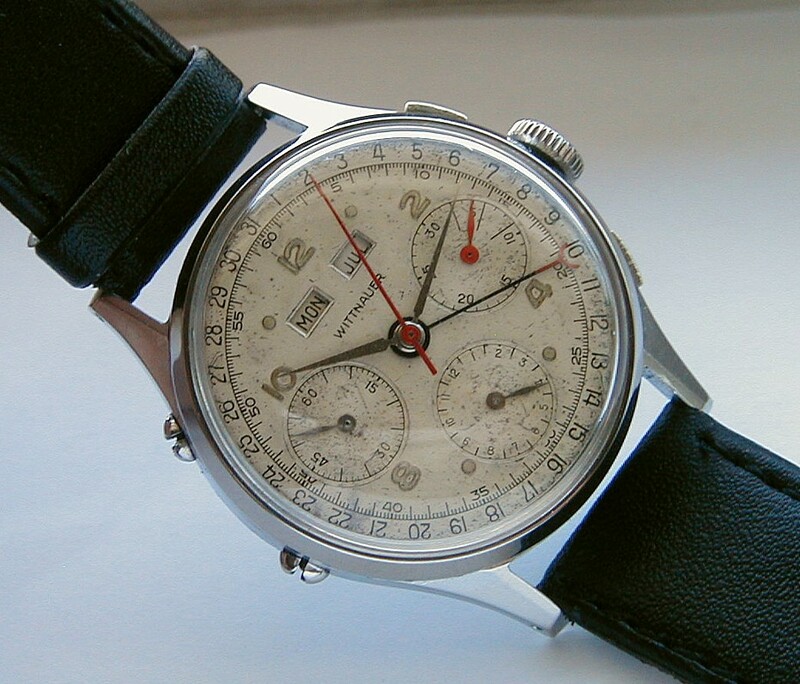 A rare piece with military history and all chronograph functions are in perfect order! 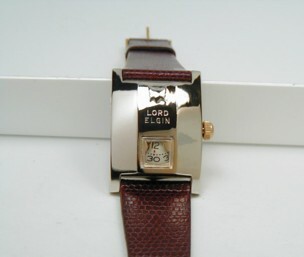 STOCK NUMBER #ELGIN77780--------This is the one to break your piggy bank for! 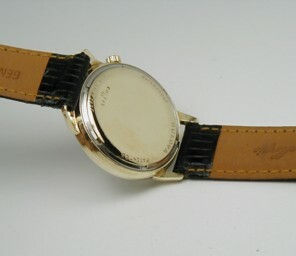 This watch is the same model that Elvis wore for years and has the nick name "The Elvis Watch". 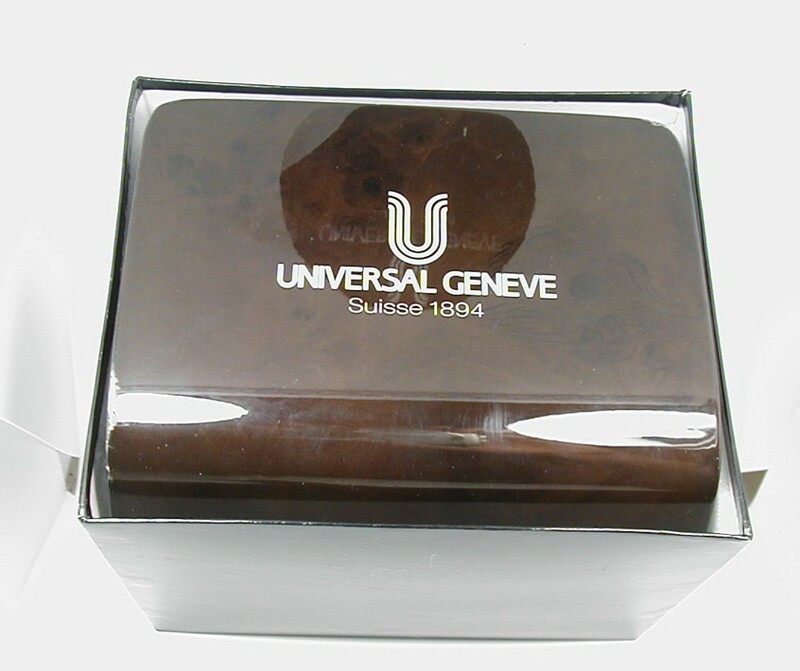 They go as high as 3500 USD but I bought this piece well and it has freshly been serviced the proper way and keeps great time indeed. 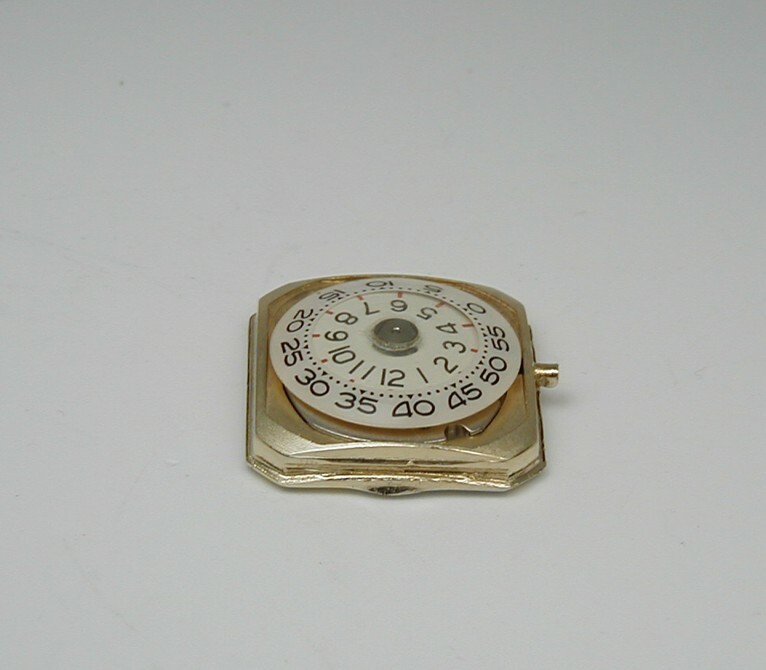 This is a two piece gold filled case and from lug to lug this Elvis Lord Elgin signed case is 36mm long and wide less the crown it is 27mm. 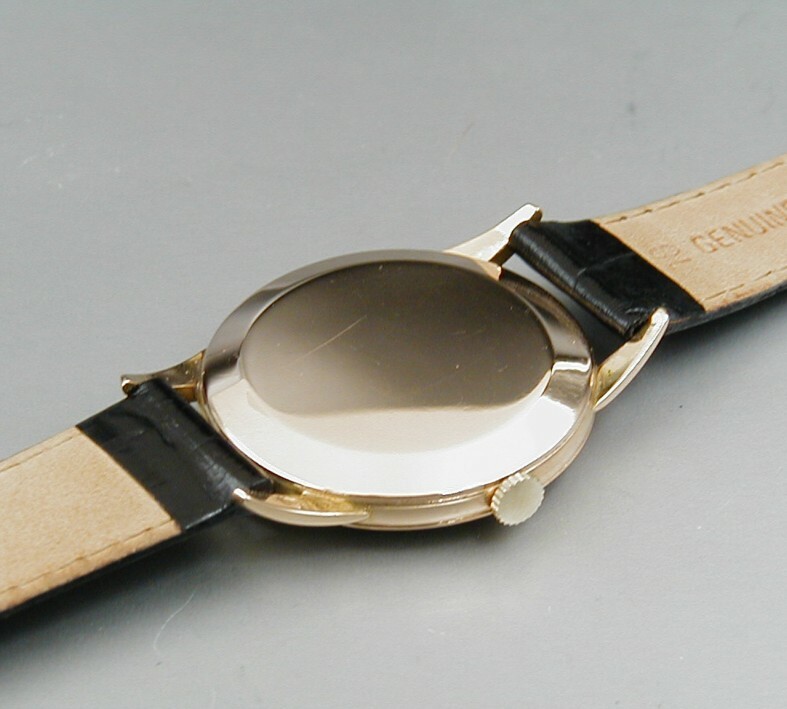 The case is a snap in gold filled back with a mirror finish and no personal engravings. 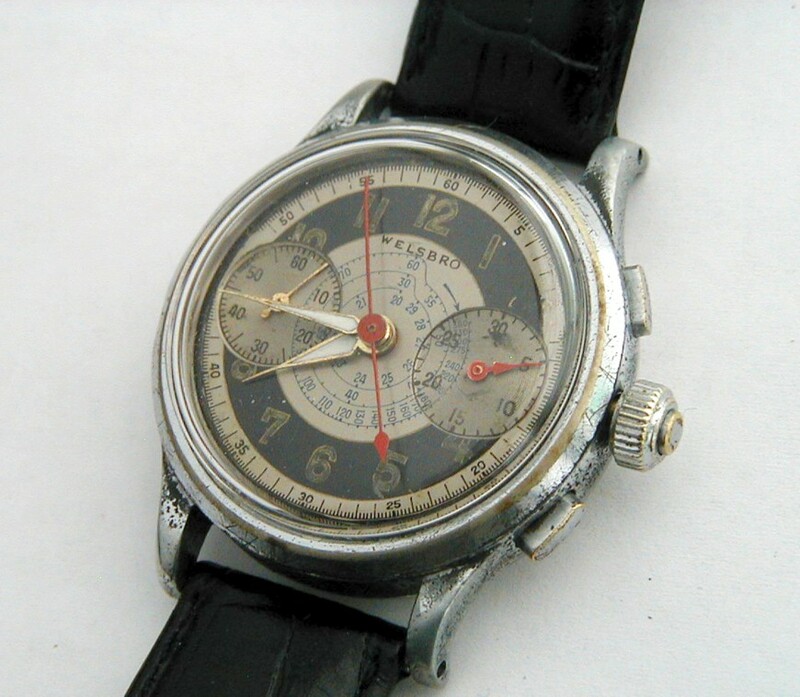 The case is signed Elgin on the inside and the case serial number is T-356,733. 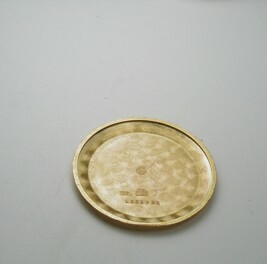 The clear number discs are aligned properly and click over as they should at 12 pm sharp. This is a manual wind frosted Elgin movement caliber 719 with 21 perfect and inspected jewels. 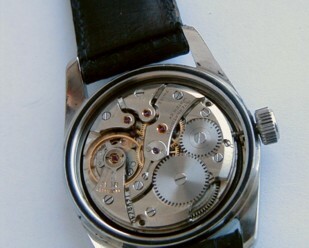 Again this piece has been serviced a few weeks ago (Dec-2018) and on my Witschi timing machine it is a reliable time keeper indeed. 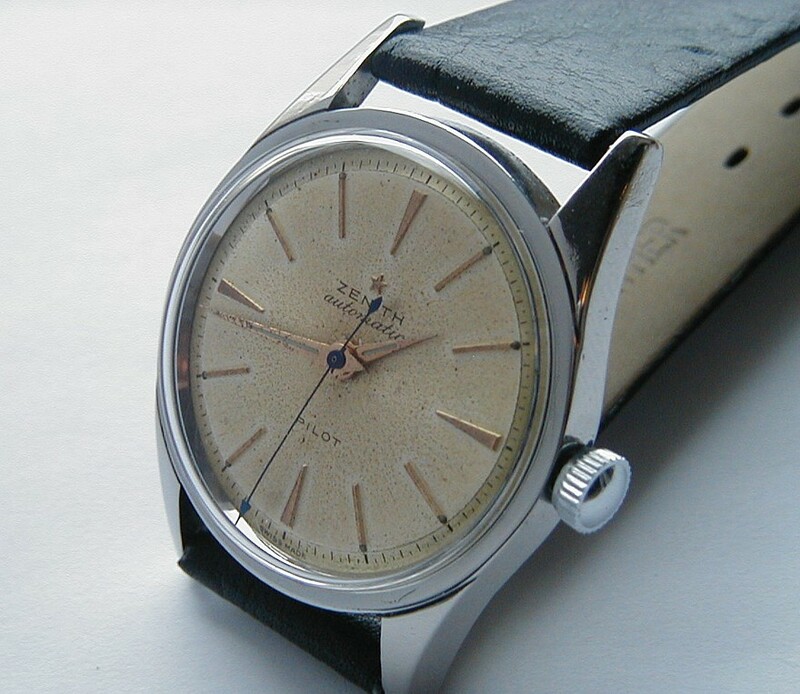 The crystal is a new old stock Elgin piece and flawless. The band is a Burgundy Lizard grain and 19mm in width never worn. Again this is your chance to purchase a genuine Elvis Presley Lord Elgin time piece at half price. 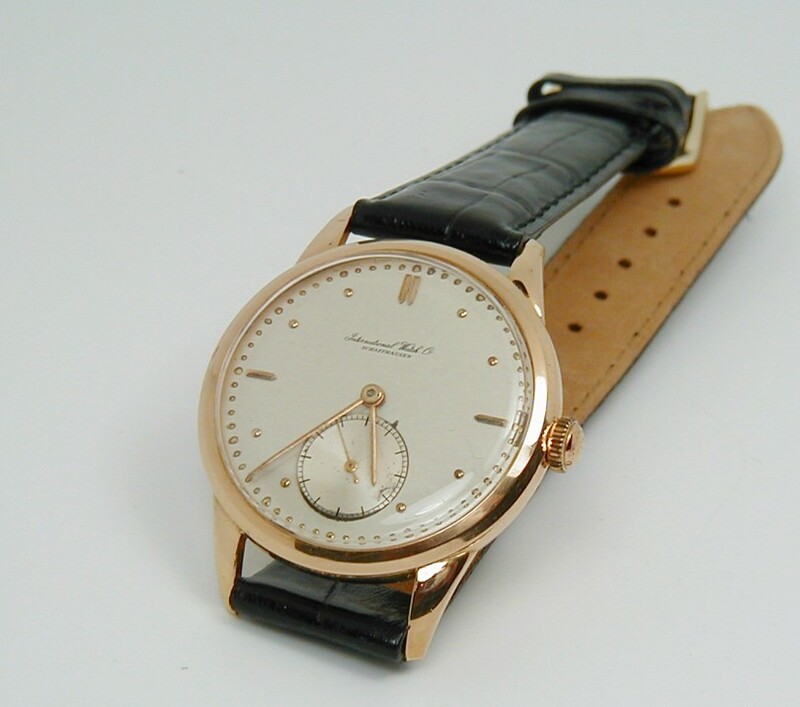 STOCK NUMBER #IWC44330--------I offer for sale a fully serviced the proper watch IWC signed 18 karat solid gold case and without personal engravings. This solid 3 piece IWC case is 45mm long and wide less the crown it is 35mm. The back of this signed case is a snap in with a mirror finish. 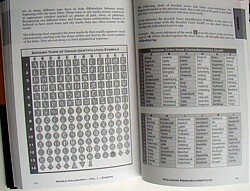 The case reference number is 1,332,951. 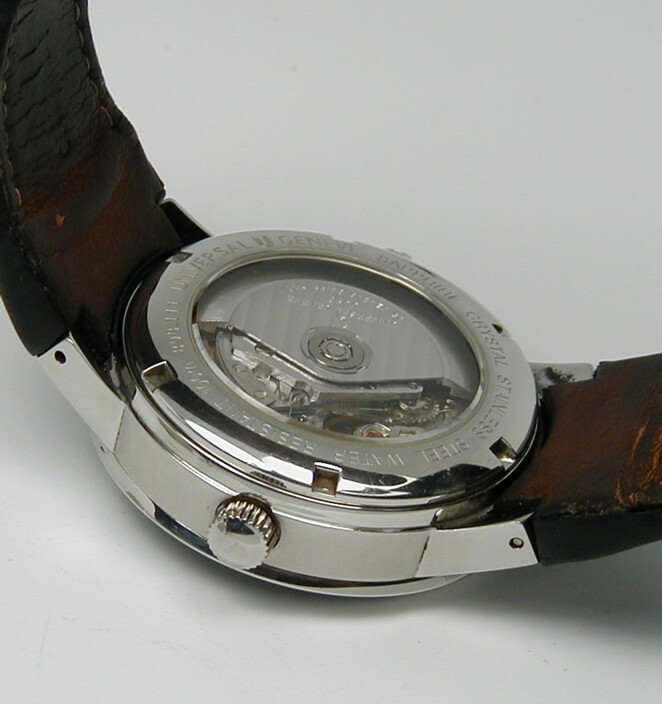 The dial is factory 100% original and very clean with a bit of patina to it. The hands are original and the crystal needless to say has been changed and fit properly. 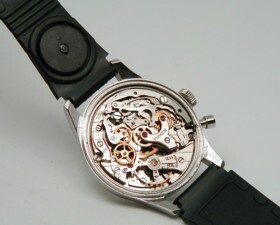 The movement is a IWC in house factory caliber 88 with 17 clean and inspected ruby jewels. 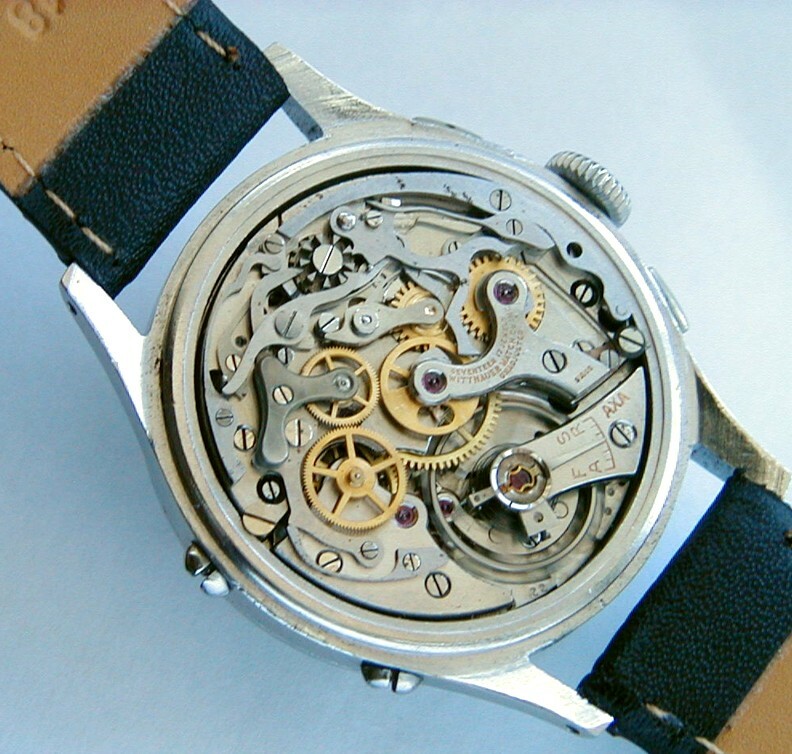 The serial number for this well maintained and serviced manual wind movement is 1,138,292 which tells me it is from the era 1947. As clean as can be and keeps great time for sure. 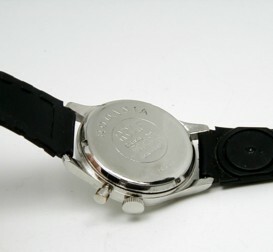 The band is 18mm in width new never worn. A classic design and truly an elegant timepiece. The Dirty Dozen is the name of a movie from the 1960s, depicting the misadventures of 12 fictional soldiers during the Second World War. 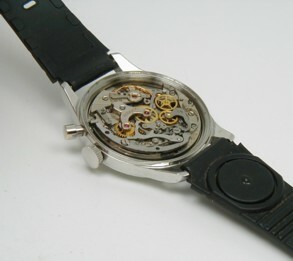 It is also, in watch collecting circles, the name given to a group of 12 watches worn by those who actually fought in it – specifically, British soldiers. They were commissioned by the British Ministry of Defence (MoD) during World War II, and while they may not be as highly rated as other military watches when they are presented individually, as a set, they become some of the most collectible – specifically (but not exclusively), by British collectors. 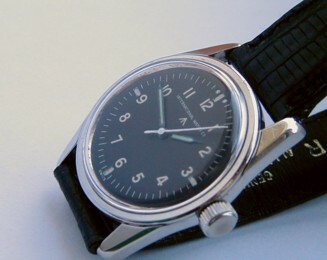 The British military had always been equipped with the most contemporary timekeepers of their era, from the marine chronometers of Harrison, John Arnold, and other horological pioneers, which gave the Royal Navy the essential ability to reliably determine longitude at sea, to "unbreakable glass" wristwatches advertised by Smiths watches during the First World War. But, when Great Britain declared war on Germany in 1939, few local watch companies could compete with Switzerland’s greater production capabilities, and those still in the business of making components were asked to focus their efforts on building military parts for the Air Force and the Navy. 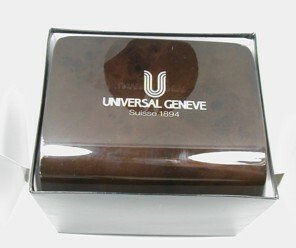 STOCK NUMBER #UN7111--------I will begin by saying the top of this beautiful polished wooded Universal box is broken at the hinged and has been repaired....other than this I have for sale a stunning sapphire crystal Universal Geneve multi complicated movement with a rotating world time bezel with a screw down bezel crown to keep it locked into place. This is a fully original piece with the original thick padded Universal cleaned leather band and deployment Universal singed buckle. 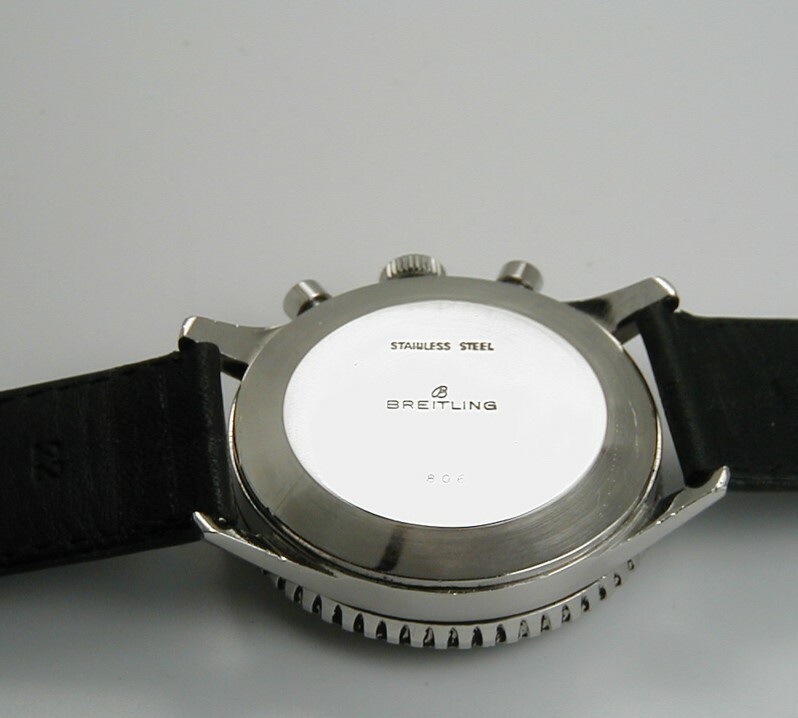 This is a see through sapphire crystal back that screws in and made of stainless steel as well as the mid case. 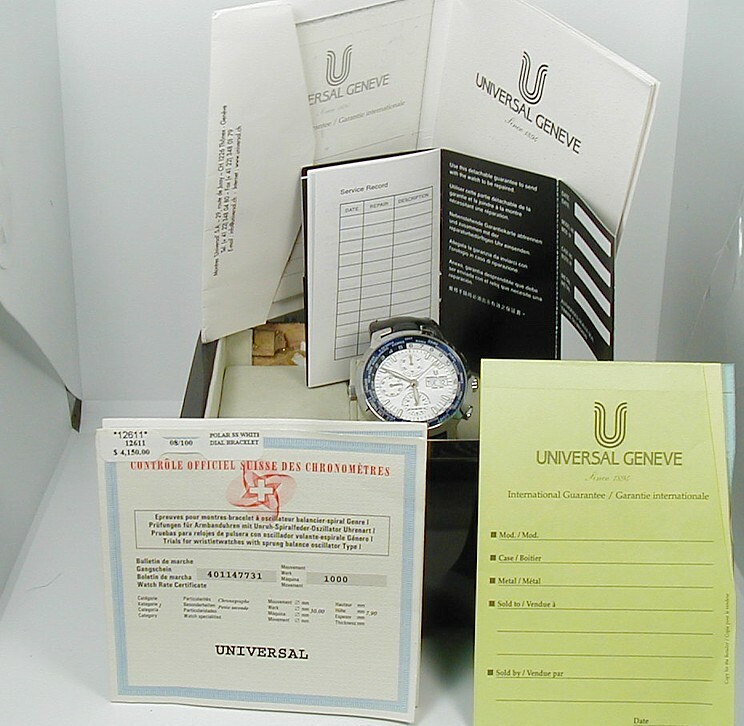 This is a Universal Geneve case reference 898.111. 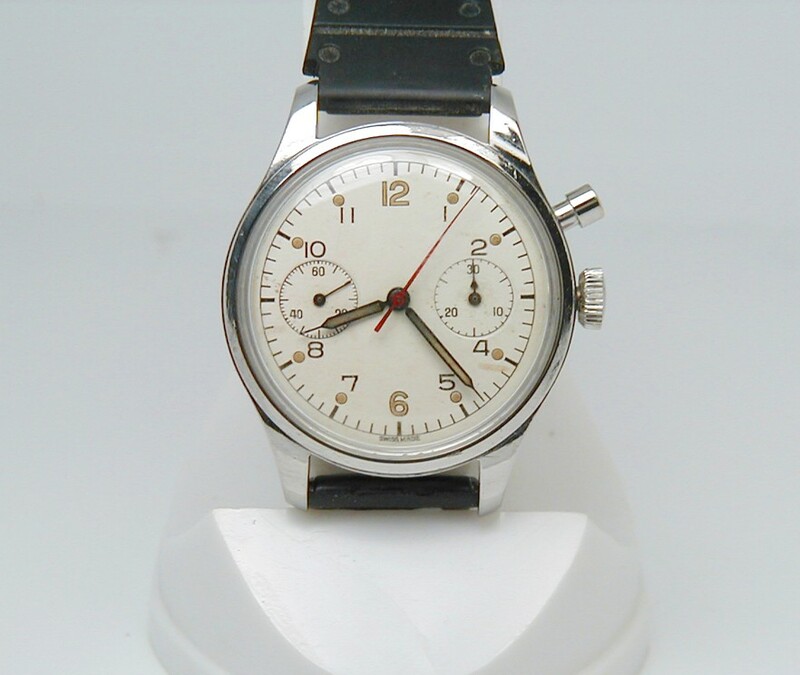 This is a Universal Geneve model wrist watch #12611. Across less the signed crown this large case is 44mm and long from lug to lug this Universal case is 56mm so it is a manly size piece indeed. The chronograpgh functions in perfect order and the sweep fly back second hand snaps back to 12 pm perfectly and flawlessly. The dial, hands and sapphire crystal are all original and in perfect condition. 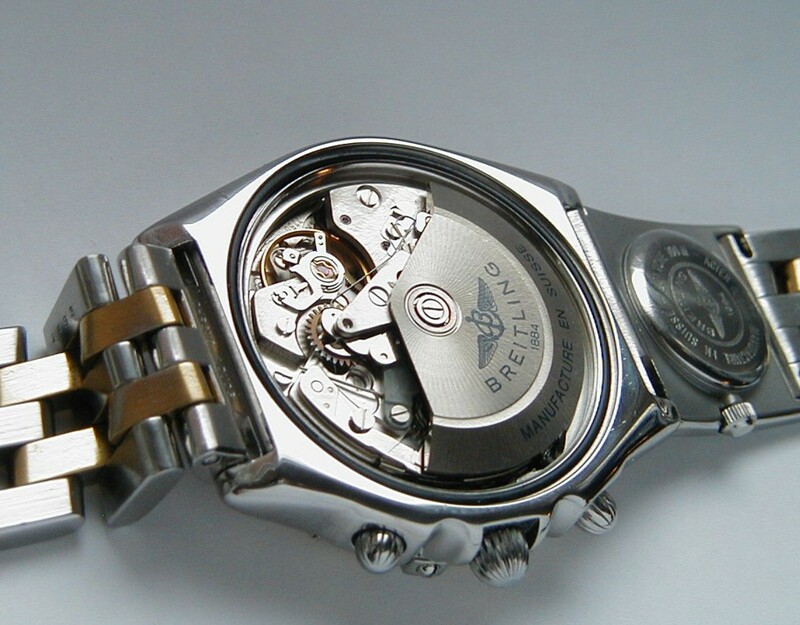 This is an automatic movement caliber universal Geneve 98 with 25 clean and inspected Ruby jewels. 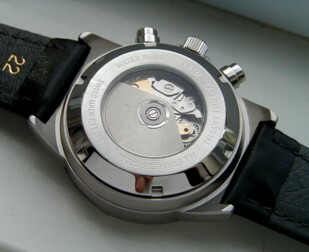 This piece is 1 of 1000 pieces produced as a "Polar Compax" model. Again this a piece comes with the certified chronometer papers and all other papers and booklets. This is a complete piece and all original once again. 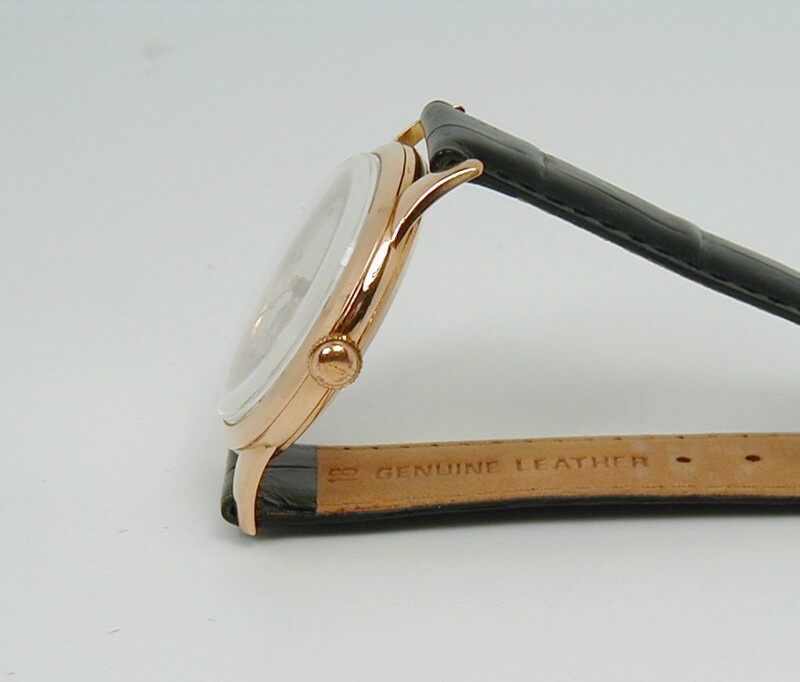 The leather band has been steamed sanitized and super clean as it is original soft and supple and has many many years left ;-). 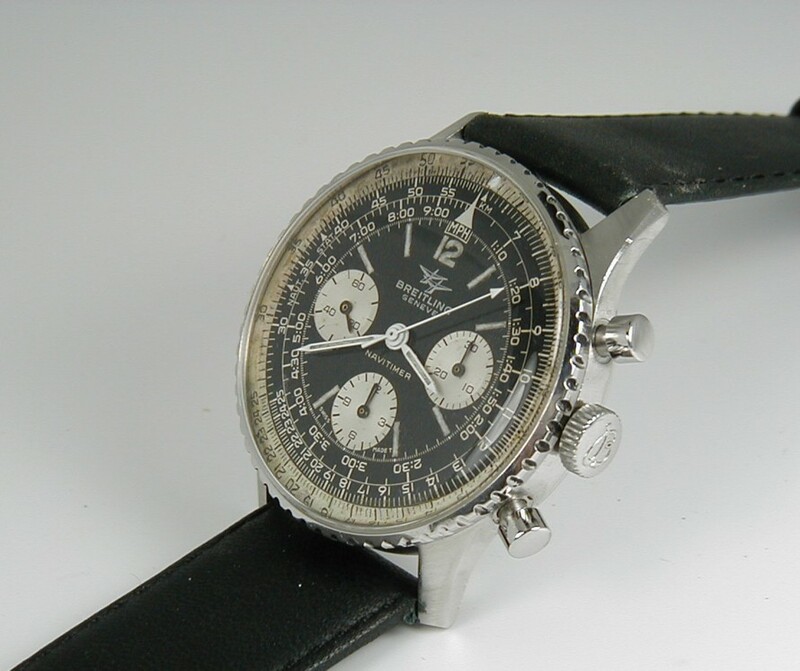 STOCK NUMBER #BRE5070--------I have for sale a stainless steel case Breitling "Navitimer" and it is in excellent all over condition. 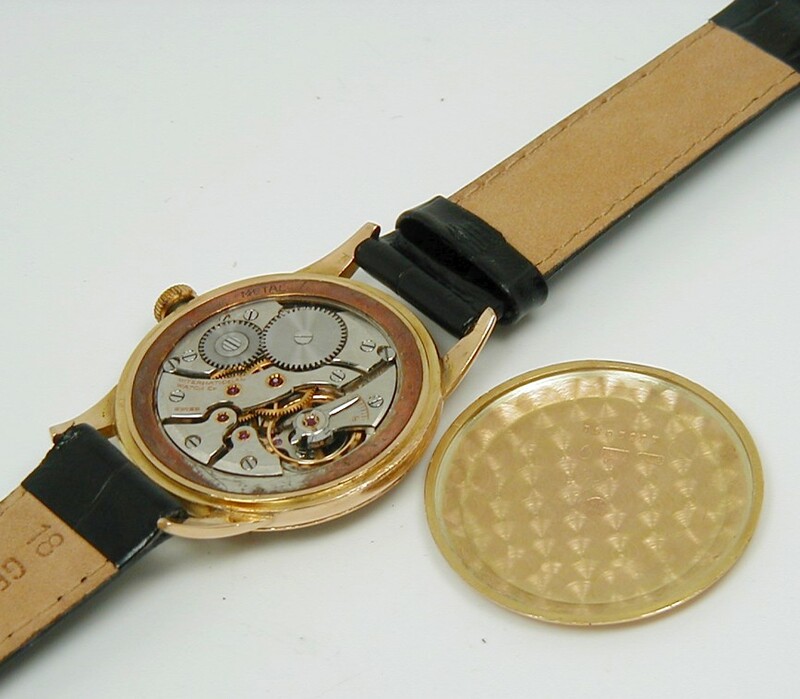 This dial has never been touched as it is factory original as well as the hands and applied luminous material are intact original. I did change the crystal and it is indeed a perfect fit. 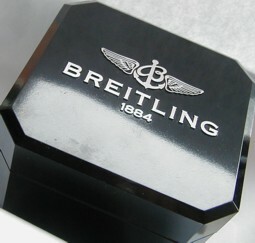 The case is with a snap in back and signed "Breitling" with no personal engravings. 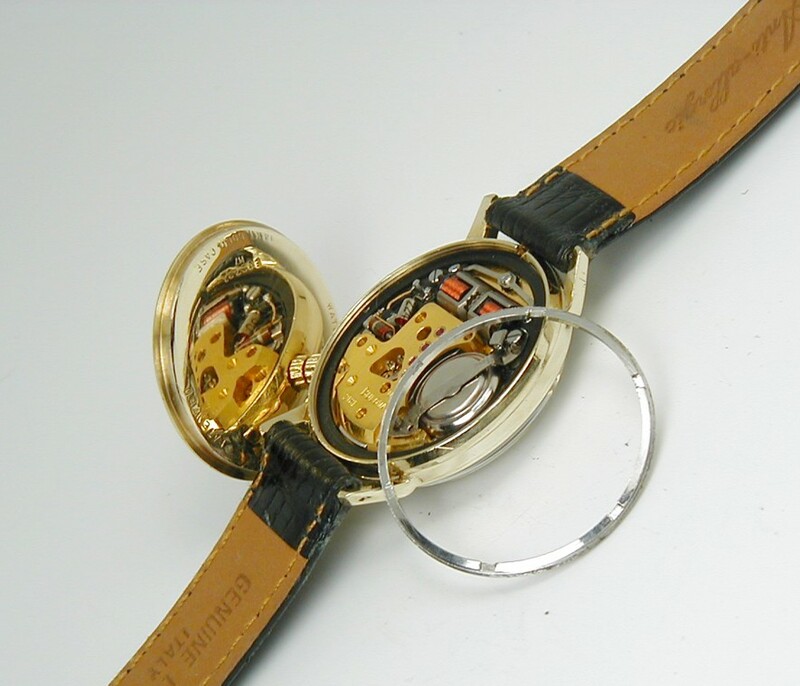 The case reference number is "806" and the case serial number is 1,090,592. 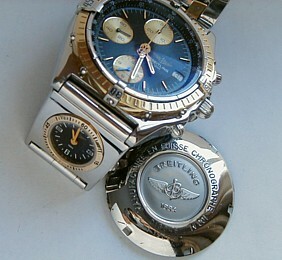 From lug to lug this Breitling case is 43mm long and wide less the Breitling signed crown it is 41mm. 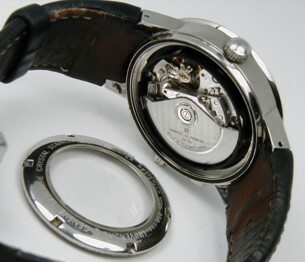 The bezel is bi-directional and needless to say removed, inspected ,cleaned and re-greased for smooth tight sliding action. The luminous "Dot" above the 12 has been repaired and it is not on the dial rather the rotating ring. 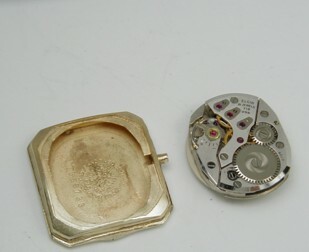 Both pushers have been removed and both springs and chrono screws inspected re-greased and like the rotating bezel both chronograpgh pushers are in perfect order. 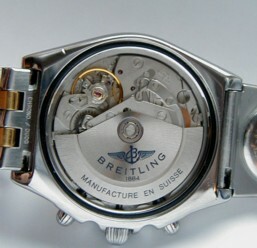 This is a manual wind copper color Breitling signed movement caliber 178 and signed Breitling and the center wheel bridge. 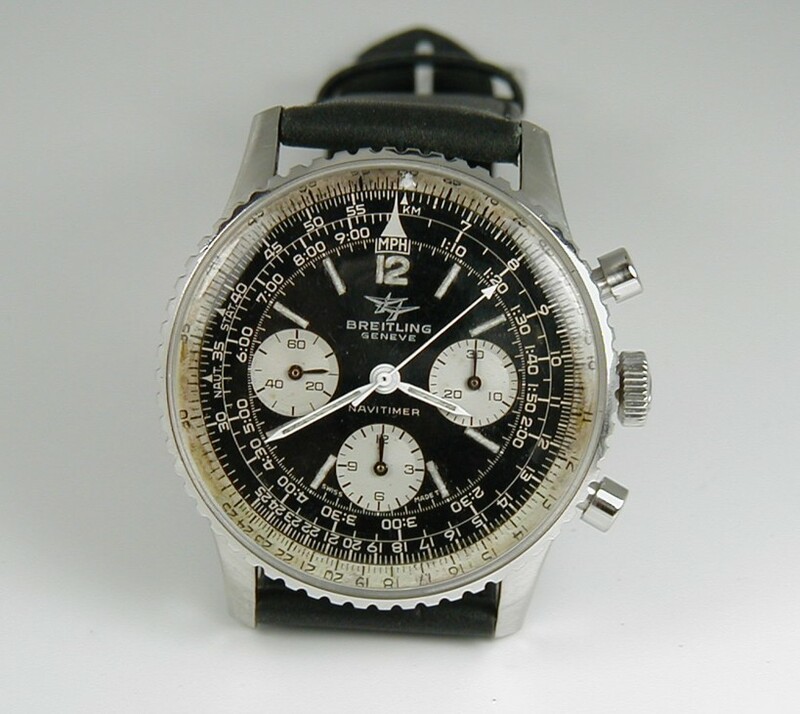 There are 17 clean and inspected jewels to this triple chronograpgh and all multi complications are perfect as well this Breitling has been recently serviced and keeps accurate time. 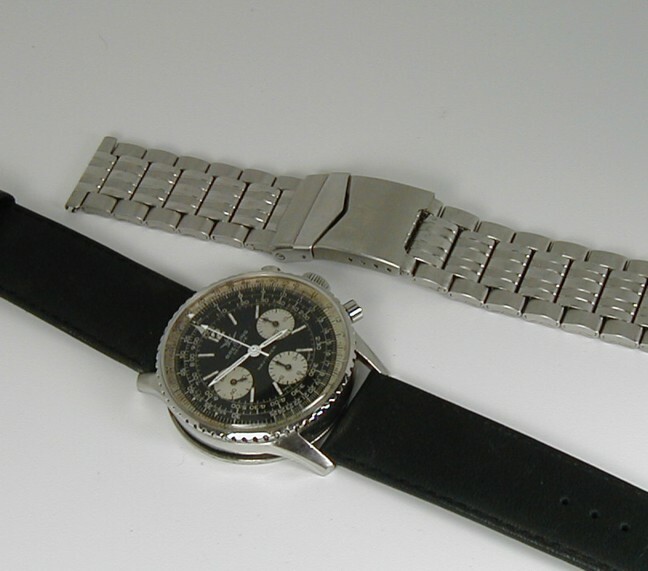 The band is 22mm in width and there is a metal not signed bracelet that will be included with this 1964 rare Navitimer Breitling time piece. well simply if to you had a metal post going through a metal hole after a few years or so the hole would wear out and become a bit oval which will affect the watch, if you put a jewel in this hole with a bit of high grade oil and put a metal post into the hole it will keep it's shape forever! One of my friends here in St Catharines Ontario Canada bought this little gold Longines with the box, original sale receipt warranty original match serial number card and booklet. Dates to 1942 and original sold for 62.50 today the value is well over 750 USD...remarkable isn't it. As the banks give us next to zero it's nice to see little gems like this hold their value and more! STOCK NUMBER #BR550--------I offer for sale a fully serviced triple chronograph Breitling "Chronomat" time piece and it is encase in stainless steel with a solid 18 karat gold bezel as well as the bracelet is stainless steel with 18 karat solid gold inner tracks. 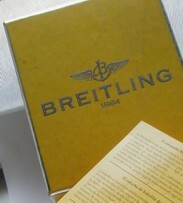 This piece does come with a Breitling outer cardboard box and inner hard plastic Breitling presentation box and card. 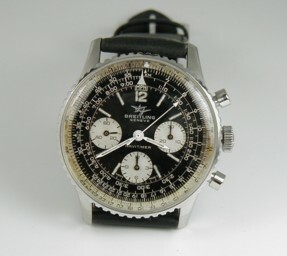 The case is large at 45mm long and wide less the original Breitling crown it is 42mm. 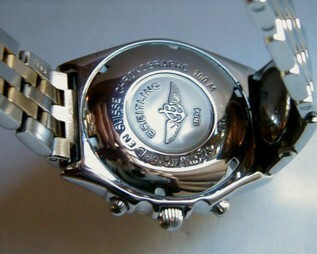 The case back is a screw in and the case reference number is D-13048 / 119007, and as you can see clearly it is signed "Breitling" on the inside and outside. The dial is 100% factory never touched as well as the hands. The crystal is mineral and not a flaw. The 18 karat solid gold bezel only rotates counter clockwise which is correct. This genuine Breitling bracelet has a special add on as it does have the factory original 24 hour "side watch" that is quartz so you can keep track of any dual time zone you may be traveling in. 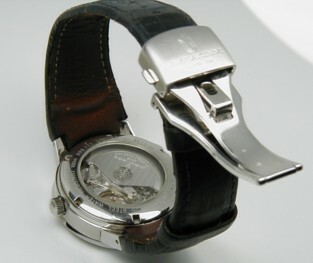 There are 10 links and the end piece is signed "chrono / DUOG". 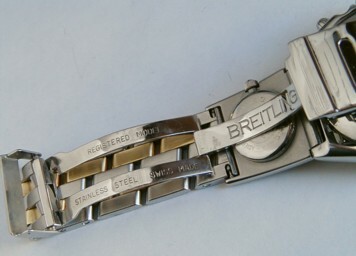 As you can also see the fold over clasp is well signed and original to this two tone bracelet. 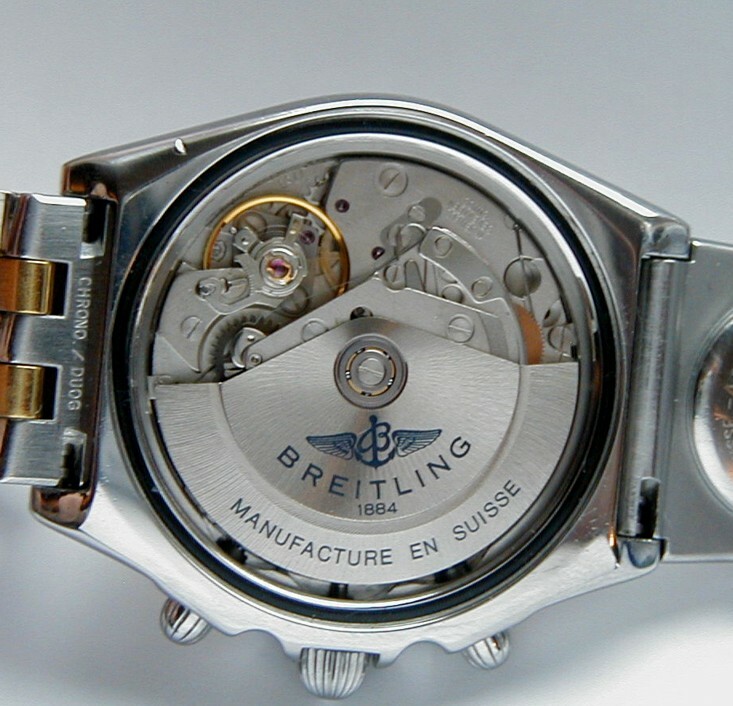 The movement is freshly serviced and it is a Breitling signed 7750 (Valjoux) with 17 clean and inspected jewels. This is an automatic movement and the date flips over perfectly as 12 pm. When you pull the crown out once the date will flip over with the turn of the crown. 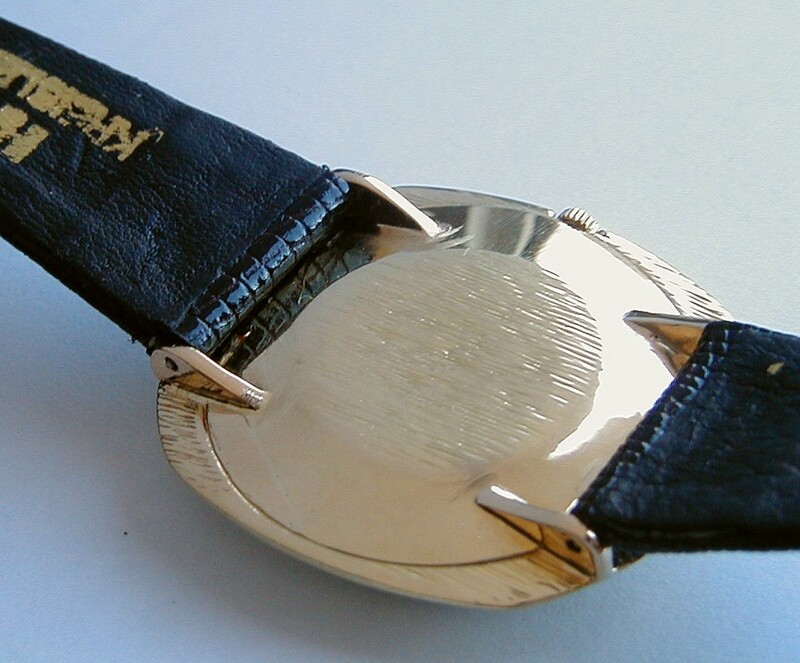 Pull the crown out a bit further and the time will change with the turn of the crown. 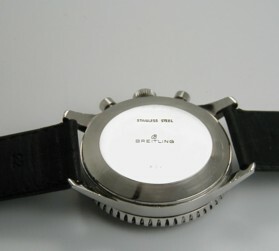 This piece is Swiss made at the Breitling factory in the 1998 era. The chronograph pushers operate flawlessly and the sweep hand fly's back to 12 perfectly. 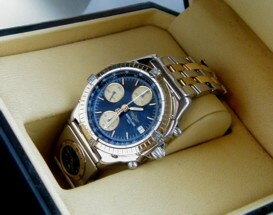 This is a heavy piece and really just a beautiful design with the dark blue dial and 2 tone Breitling case. Dr. Louis C. Waller, of Dunmore, died Sunday at his home, following an illness Born in Northampton, he was the son of the late Aloysius and Mary Horvath Waller. 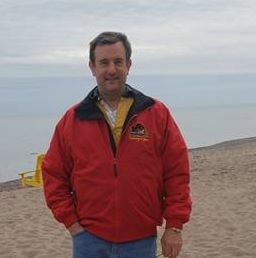 He was a graduate of Nanticoke High School; Penn State University, where he earned a degree in electrical engineering; and Duke University School of Medicine. A physician since 1943, he was involved with heart pacemaker research and was the author of many medical journal articles. He was an avid ham radio operator. He was a member of the Lackawanna, Pennsylvania and American medical associations and St. Mary of Mt. 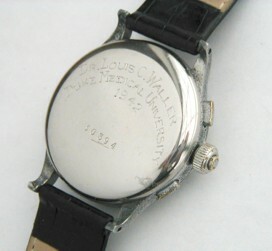 Carmel R.C. Church, Dunmore. He was preceded in death by his wife, the former Irene Mekelyta. Surviving are his brother, William Waller Sr., Lake Spangenburg; and several nieces and nephews. STOCK NUMBER #WIT90--------Striped to the plates and each and every cog, wheel and pivot checked, cleaned then checked again and here is the final result. A great vintage well serviced Wittnauer triple chronograph day, date and month wrist watch in a signed Wittnauer steel 3 piece case. 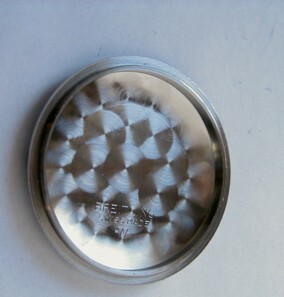 The back is a snap in steel piece with a mirror finish and no personal engravings. 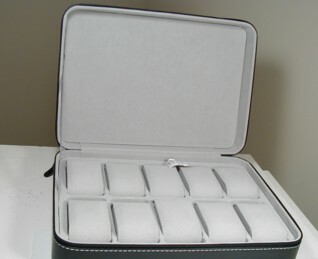 From lug to lug this Wittnauer signed case is 44mm long and wide less the crown it is 37mm. As you can see the dial is signed Wittnauer and factory original with patina changes. The hands are clean and the crystal is perfect. 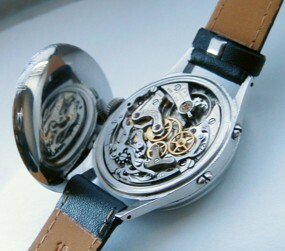 The movement is spotless and keeps great time as once again serviced to the hilt. This is a "Wittnauer" signed 17 jewel highly complicated caliber 22C movement with each jewel inspected then oiled properly. 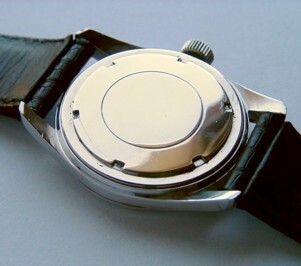 There are two square pushers next to the crown on each side, The top one starts the center sweep and and the top one when pushed in again stops the center sweep hand. Then you click the bottom square pusher and the center sweep hand flays perfectly back to 12. On the other side of the case at the 8:30 position is a small rod in a case tube. 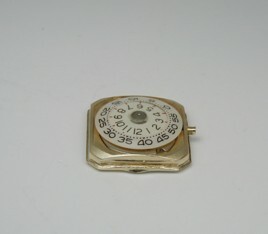 When you push this rod in the "DATE" arm will advance to the next day along the edge of the dial from 1-31. At the 10 position is another rod in a case tube on the side of the case and when you push this rod in, the month calendar wheel turns over perfectly. This is a highly sought after movement and it is once again striped to the bones and cleaned properly so all functions are warranted to be in perfect order. 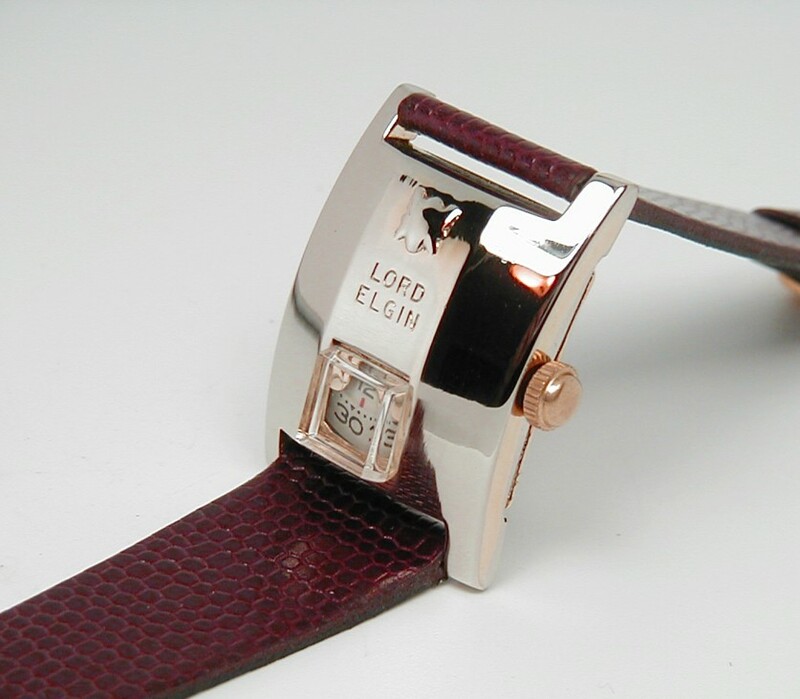 The band is18mm in width never worn not a bend. 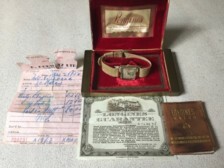 so the dial is signed the case is signed and the movement is signed Wittnauer (Longines partnership company) from the year 1955. STOCK NUMBER #VAL1--------Wow here is the "Rabbit out of the hat!". This is pre retail in the original package straight for the ETA Swatch group (Valjoux) factory. This Valjoux 7750 movement was only opened a few days ago and let me tell you it keeps chronometer time indeed. 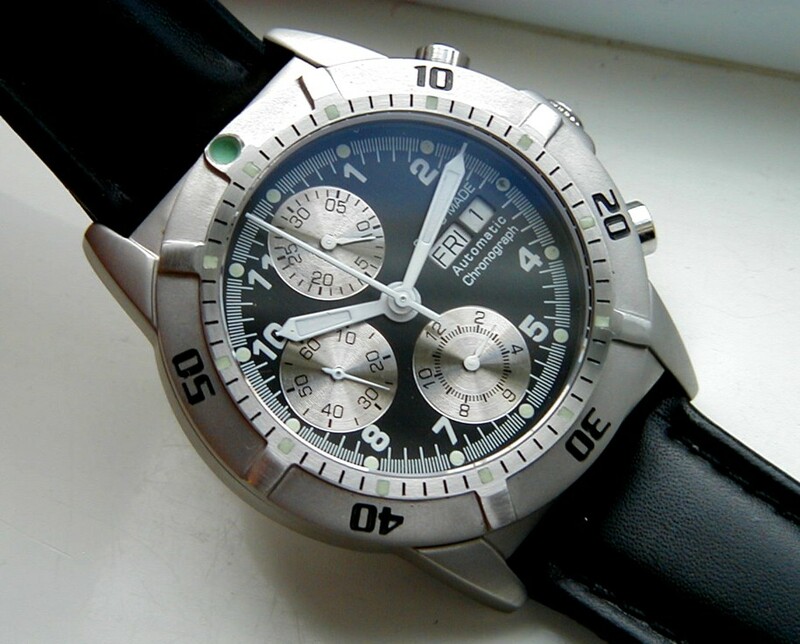 This is a 7750 Valjoux movement triple automatic chronograph with a quick change day and date so no need to go around and around. 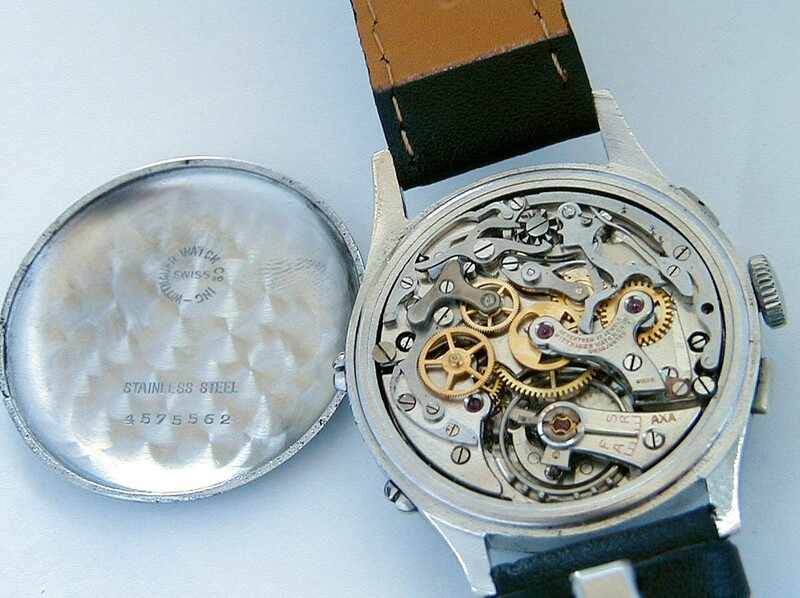 The case is mint not a flaw not a scratch with sapphire crystals back and front out of the factory wrapper and the dial as well. The hands are original and mint never touched. 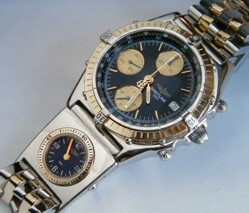 The chronograph pushes are mint new old stock and original tot his case. The winding crown is a screw down piece. Even the rubber case gaskets were in original Vaseline factory envelopes. 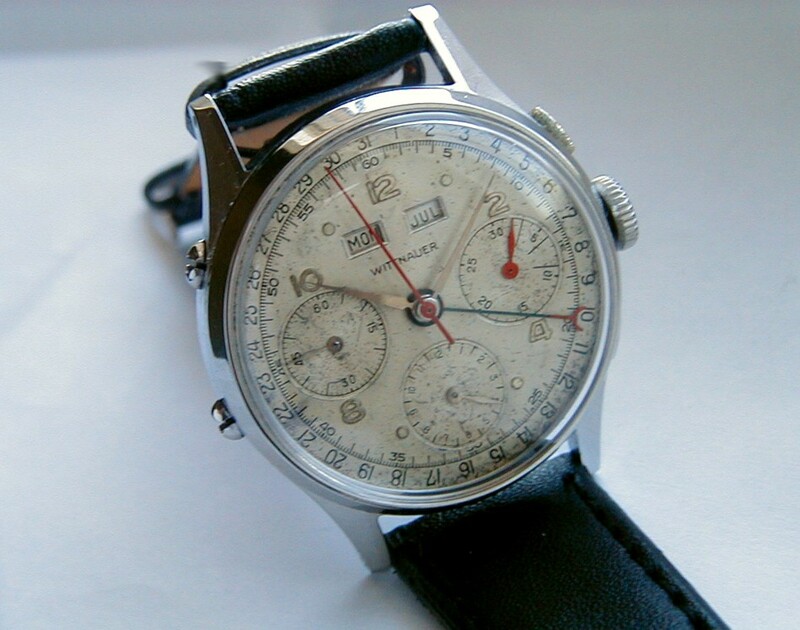 There are 25 ultra prefect and clean jewels to this Valjoux chronograph and even though this piece is direct from the ETA/Valjoux factory I examined this piece before it went on my timing machine. This is a big big case and all stainless steel. From lug to lug this piece is 50mm loooong and wide not including the screw down crown it is 40mm. The height of this monster is 12mm. 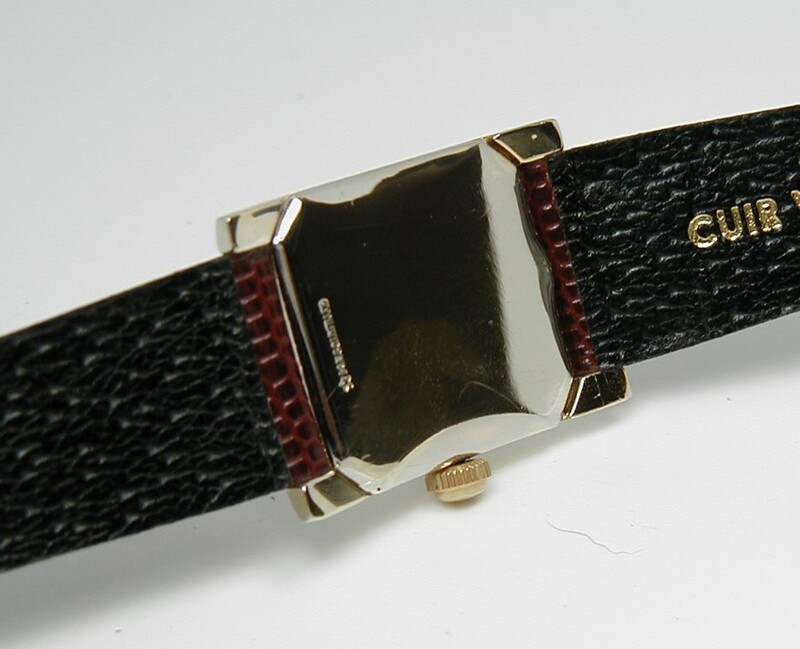 The band is high grade Italian leather and 20mm in width. You cannot get newer than this and in perfect order will it come to you as we have the one year no questions asked warranty. 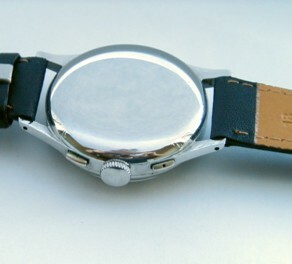 On a closing note the leather high grade band is 22mm in width never worn not a bend. 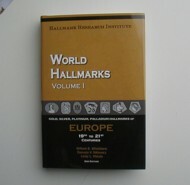 WORLD HALLMARKS BY WILLIAM B. WHETSTONE AND ASSOCIATES 2ND EDITION ULTRA IMPORTANT FOR THE COLLECTOR A MUST!!!!!!! 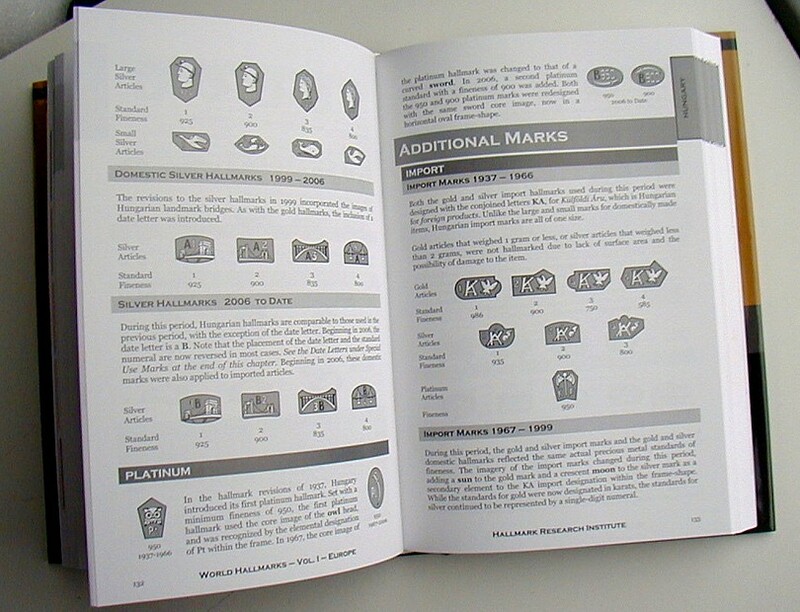 STOCK NUMBER #BOOK------As a general rule I never give out free advertising on my pages unless it pertains information second to none for the collector or pertaining to horological items and this book fits the bill in all ways you could possible imagine. 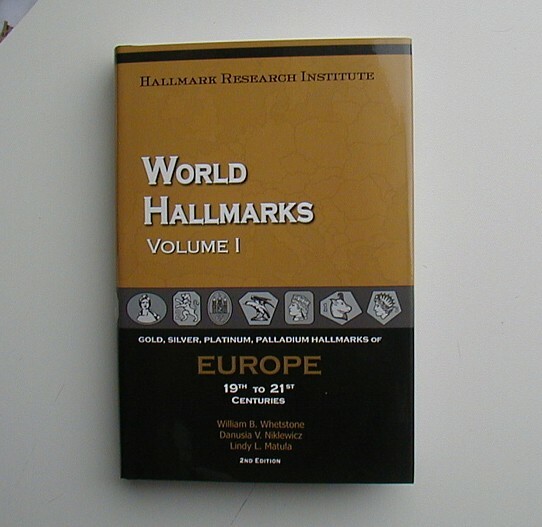 This is a hard cover book with 380 pages packed with important information with most world hallmarks from the 1700's to present date, many many countries are involved and it took five years to complete. I have know Bill Whetstone since god only knows when lol ! From beginning to end it was his passion and here it is. 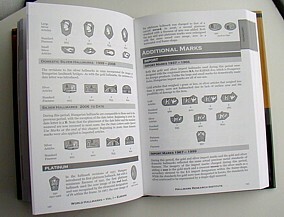 If you have a hallmark it is in this book and can guide you to proper information that you will NOT find anywhere else. The price is 250.00 USD and well worth it as far as I am concerned and as you see I bought one from Bill and I can now trace rare late 1700's and 1800's pocket watches by, the case hallmarks on the inside of the case, i.e, town marks, port of entry marks, sterling, gold, Assay's office stamps, year of production stamps, it's all here in this book and it is once again a must. 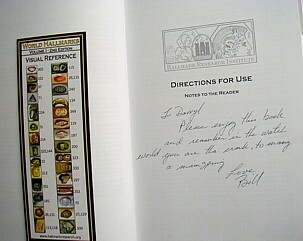 and if you tell Bill you saw it on my pages he will personally sign it for you! 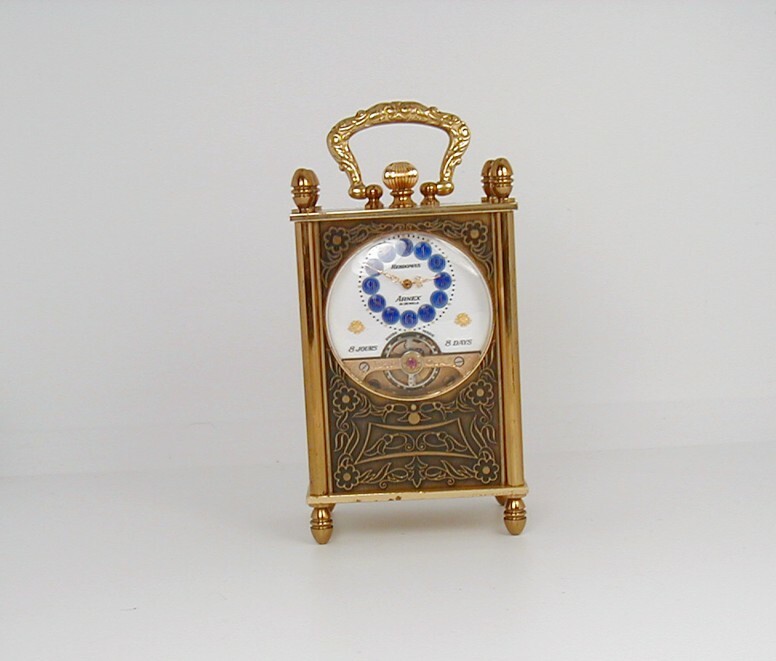 SMALL CLOCKS <-------CARRIAGE CLOCKS HERE AND MANY!!! 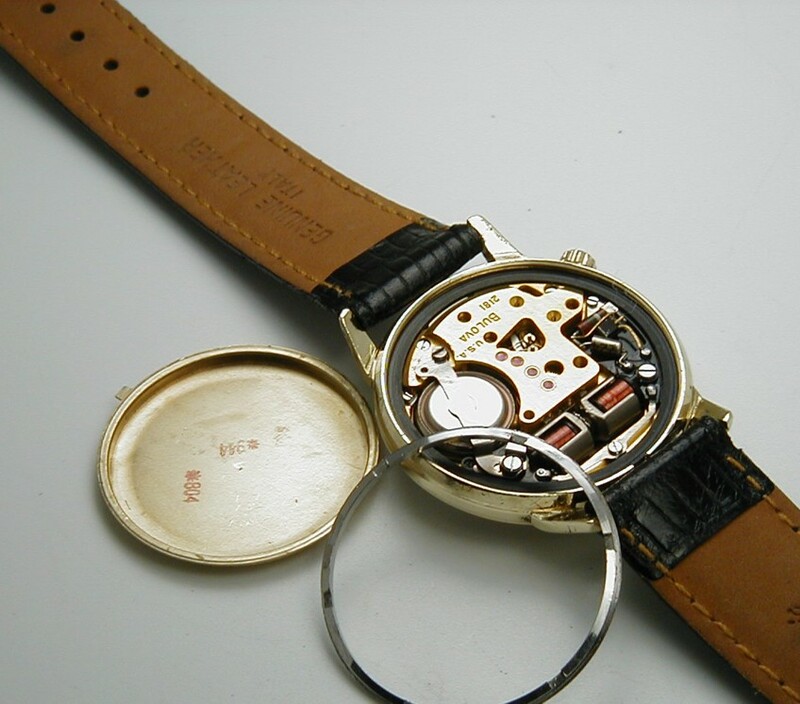 WE REPAIR 1700, 1800, 1900'S POCKET OR WRIST WATCHES. WE STOCK PARTS FOR VINTAGE WATCHES, SWISS AND AMERICAN WRIST WATCHES, POCKET WATCHES, AND CHRONOGRAPHS! WE ARE SUPPLIERS OF VINTAGE TIMEPIECES TO FILM AND TELEVISION STARS AND TO MAJOR STUDIO'S ACROSS THE USA AND CANADA. WE SPECIALIZE IN OMEGA AND ROLEX WRIST WATCHES. 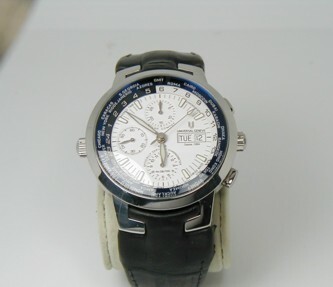 WE BUY, SELL, AND TRADE OLD WATCHES AS WELL. OUR PRICE STRUCTURE IS "VERY REASONABLE ! 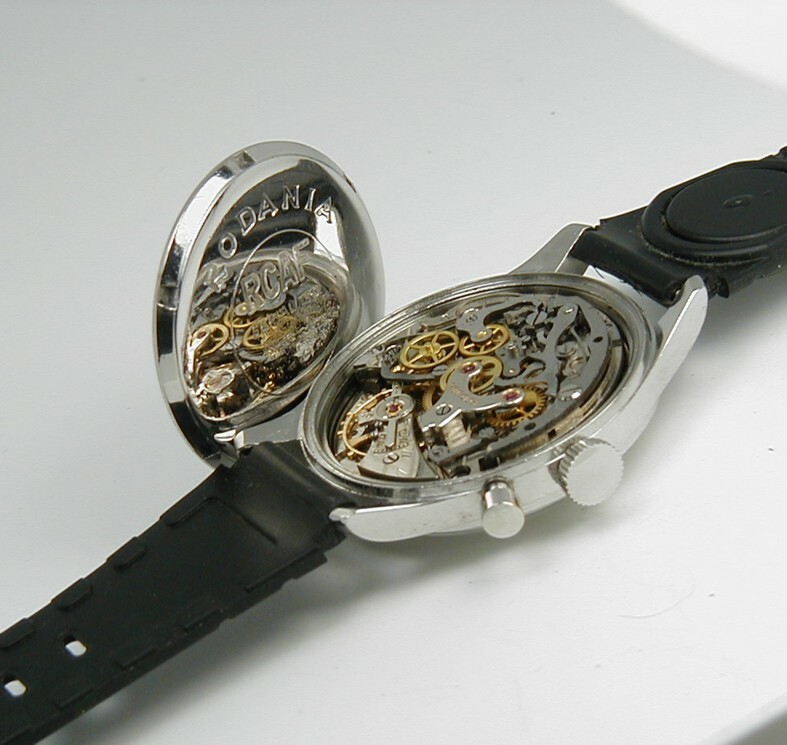 WE WILL GLADLY GIVE YOU FREE CONSULTATION OR ADVICE ON YOUR TIME PIECES. 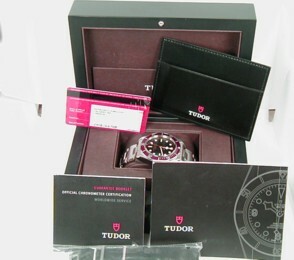 REFER TO US IF YOU ARE NOT SURE OF A PURCHASE FROM SOME OTHER COMPANY. ALL QUESTIONS WILL BE RETURNED PROMPTLY WITH PROPER INFORMATION WE GIVE OUT ALL THE INFO YOU NEED BUT NO PRICING. ALL PHOTOS ARE PROPERTY OF DARLOR-WATCH NO EXCEPTIONS, YOU MUST ASK FOR PERMISSION TO USE OUR DESCRIPTIONS AND PHOTOS. 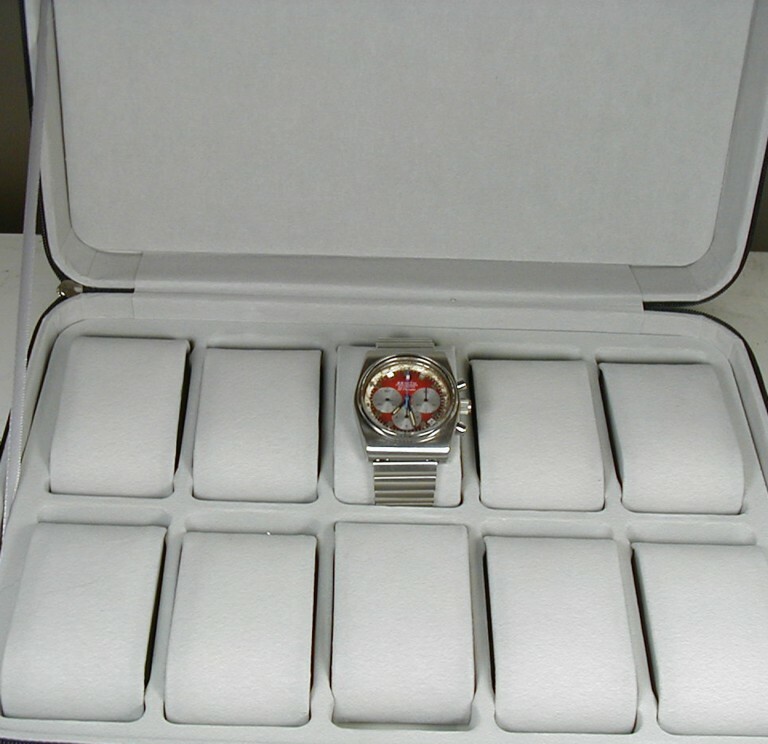 BEFORE ORDERING PLEASE BE SURE TO VERIFY THE DIMENSIONS OF THE WATCH YOU ARE ORDERING TO AVOID BEING DISAPPOINTED WITH THE SIZE OF THE ITEM. 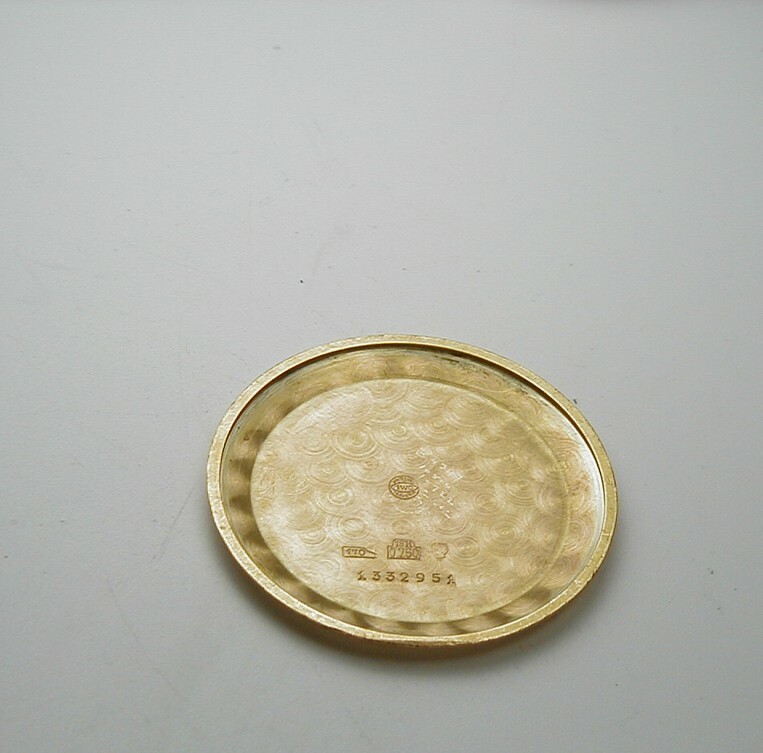 WE ACCEPT PAYMENT BY MOST CREDIT CARDS, BANK WIRE TRANSFERS, AS WELL AS BANK OR INTERNATIONAL POSTAL MONEY ORDERS (PLEASE CONTACT US FIRST TO QUALIFY FOR BANK DRAFT, MONEY ORDERS PAYMENT). ALL CREDIT CARD PAYMENTS ARE PROCESSED USING PAYPAL ONLINE SECURE SERVICES, AN E-BAY AUCTIONS OWNED PAYMENT DIVISION, WITH OVER 20 MILLION USERS, A SAFE PAYMENT METHOD BETWEEN VERIFIED MEMBERS WITH NO BUYER SERVICE FEES, MEMBERSHIP IS FREE, SIGN UP TODAY! AN ADDITIONAL FOUR DAY SHIPPING AND INSURANCE CHARGE, OF $29.50 USD DOLLARS, IS APPLIED TO ALL ORDERS UNLESS OTHERWISE SPECIFIED. OVER-NIGHT COURIER IS AVAILABLE, INQUIRE FOR AREA SPECIFIC PRICING. 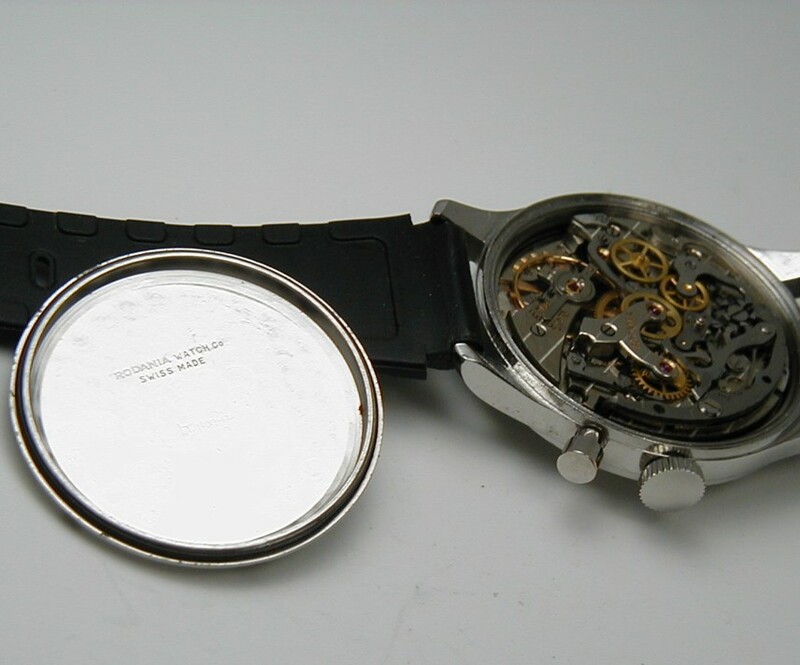 FOR ANY WATCH THAT HAS BEEN FOUND TO BE OPENED OR TAMPERED WITH, OTHER THAN BY A CERTIFIED WATCHMAKER PRE-APPROVED BY DARLOR WATCH, OUR MECHANICAL WARRANTY BECOMES NULL AND VOID AND THE WATCH IS NOT RETURNABLE NOR WILL ANY REFUND BE ISSUED. REMOVING PARTS FROM A WATCH INTENDED FOR RETURN CONSTITUTES AS THEFT. 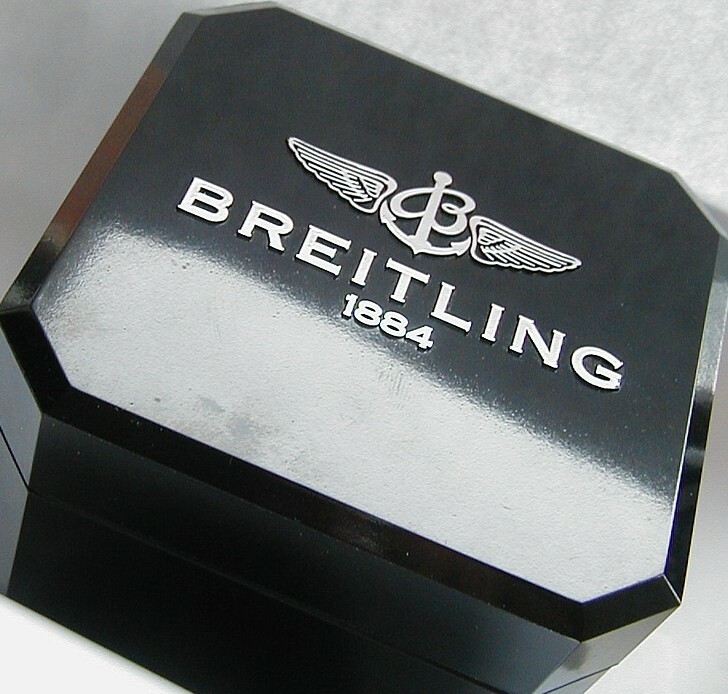 WE OFFER A 7 DAY RETURN POLICY FROM DATE OF DELIVERY, ALL WE ASK IS TO BE NOTIFIED, AND RETURN INSTRUCTIONS FOLLOWED. 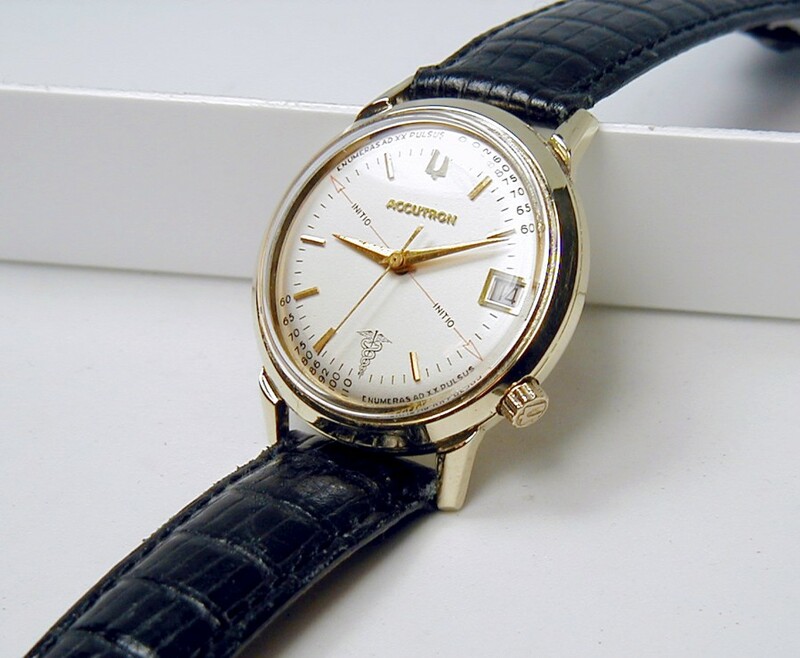 ALL RETURNS ARE FULLY REFUNDED, WITH PLEASURE, ON CONDITION OF INSPECTION AND APPROVAL FROM OUR WATCHMAKER, WE RESERVE THE RIGHT TO REFUSE RETURNS AFTER 7 DAYS, OR IF A CLIENT FAILS TO NOTIFY US FIRST. A CLIENT WISHING TO RETURN AN ITEM MUST CONTACT US FIRST, NO PARCEL WILL BE ACCEPTED WITHOUT US FIRST BEING CONTACTED. RETURN SHIPPING INSTRUCTIONS FROM US ARE CRITICAL TO YOUR REFUND, PLEASE CONTACT US OR CUSTOMS AND DUTY WILL BE PUT ON THE PARCEL AND WE WILL REFUSE DELIVERY OF THE ITEM (UNLESS IT IS 10.00 OR LESS), NO EXCEPTIONS AT ALL TO THE RETURN INSTRUCTIONS. WE RESERVE THE RIGHT TO RETAIN A PERCENTAGE OF REFUND MONEY FOR RESTOCKING CHARGES AND OR FEES INCURRED FROM ORIGINAL SALE. WE DO NOT USE, OR ACCEPT U.P.S. PARCEL SERVICE. 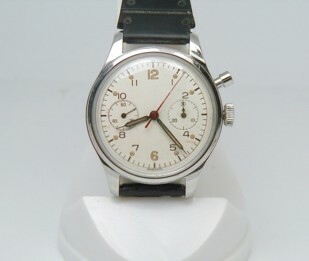 VINTAGE WATCH SALES & REPAIRS. 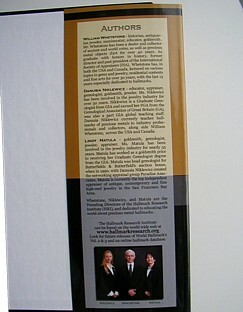 FOR SECURITY REASONS WE DO NOT GIVE OUT OR STORE ADDRESS. 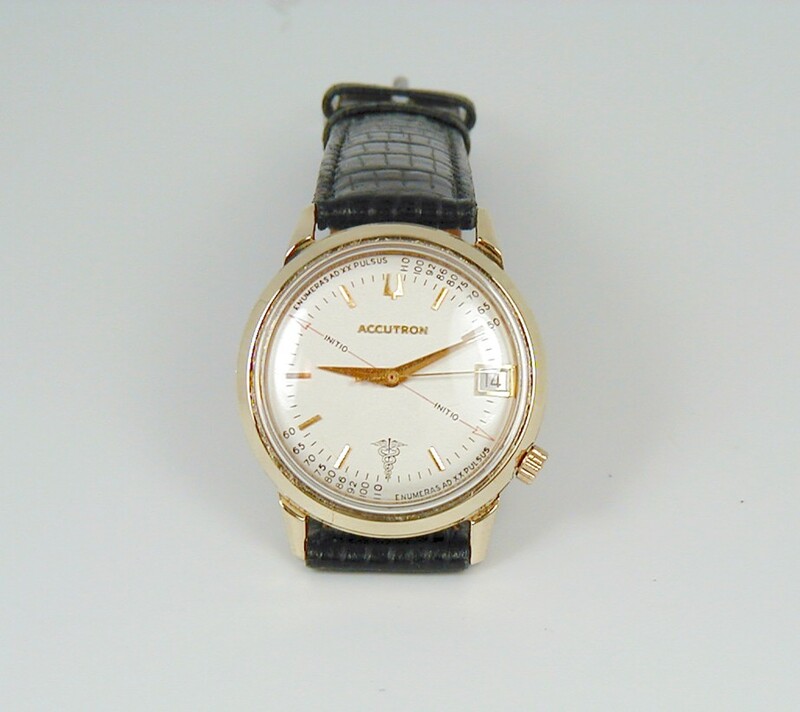 WE ARE MEMBERS OF THE NAWCC (National Association of Watch and Clock Collectors) # 0136135 & 0136136, ONT-NAWCC AND TORONTO CHAPTERS, THE SOCIETE D'HORLOGERIE DE QUEBEC, THE A.W.I. 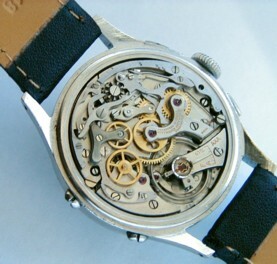 USA (American Watchmakers Institute), AS WELL AS THE BBB (Better Business Bureau) MONTREAL CHAPTER. 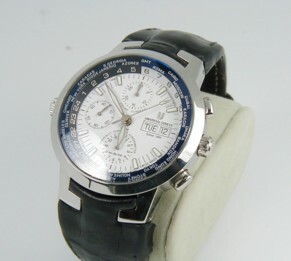 WANT TO FIND A GREAT WATCH SITE? CHECK THESE OUT BELOW!!!!! 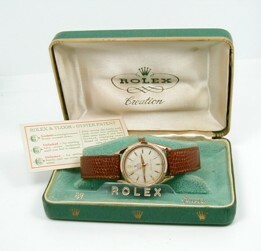 YORK TIME Rod Cleaver ( Toronto Canada) owner, VERY knowledgeable in dealing with Vintage Rolex. A dear friend amazing items amazing watches check it out. GIRARD'S VINTAGE WATCHES Sells vintage time pieces, and runs the World Wide Traders Watch and Collectables shows. 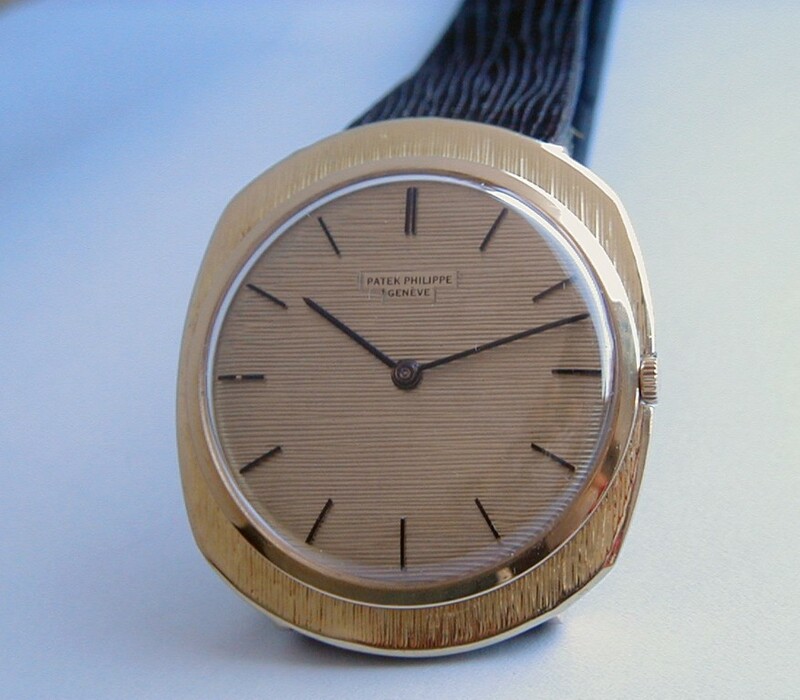 FARFO'S VINTAGE WATCHES Another honest dealer with a great selection of vintage watches.